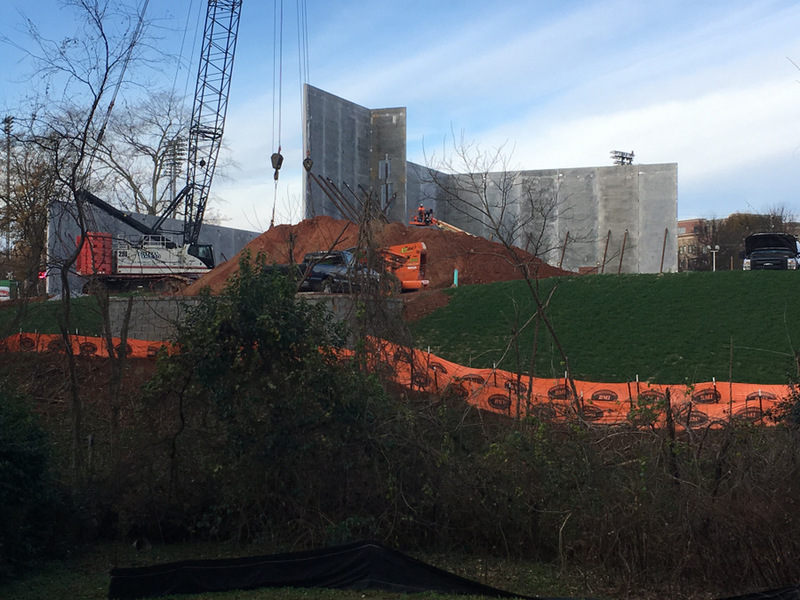 Precast concrete panels being erected for the new South Carolina Children’s Theater. Photo taken from Howe Street December 4. That looks like quite a big project.